The organisers of REVA reserve the right to modify the requested stand position or plan. A provisional stand will be allocated upon registration. However, modifications for organisational reasons are still possible. The participant will be contacted in order to ensure that their wishes are met as far as possible. Invoices must be paid within 30 days of receipt of the invoice. As of 23 April 2019, REVA may make use of any stands that have not been paid for in full. The rental amount will be due nevertheless. First-time exhibitors who register by 1 January 2019 are required to pay 50% of the rent upon registration. Exhibitors who register after 1 January 2019 will receive the full invoice immediately. Options taken for a particular stand site are valid for one month in the period before 1 January 2019, and for one week after 1 January 2019, until 29 March 2019, unless stipulated otherwise by the REVA secretary’s office. The registration deadline is 29 March 2019. If there are still spaces available, you will be able to register after this date, but you will be required to pay an additional 15% on top of the registration fee to cover any organisational changes that need to be made. The following costs will be charged if you cancel your participation: cancellation before 1 October 2018: 15% of the rental price of the stand site. Cancellation between 1 October 2018 and 31 December 2018: 30% of the rental price. Cancellation on or after 1 January 2019: 100% of the rental price plus registration fees. If the cancelled stand cannot be rented to another party, the cost of closing the stand will also be charged. In the event of non-payment, default interest will be charged, without any prior notice, in full compliance with the law, at the rate of 10% as of 30 days after the invoice date. If the debtor fails to pay the amount owed within 15 days of the dispatch of a registered letter claiming the amount due, the amount shall be increased by 20%, excluding any legal expenses or interest. The rent may be increased if prices rise due to new conditions applied a national level. The REVA organisers have the right to refuse registrations or exhibited products if they do not comply with the conditions of participation or if the services or products are not in keeping with the spirit of the exhibition. In the event that, on the afternoon of the exhibition opening, a stand is not occupied by the exhibitor with the products for which he has registered, the stand will be assigned to another company. The original exhibitor may not file a compensation claim, nor shall they be exempted from their financial commitments as set out in the contract. Exhibitors building their own stand are bound by these rules and regulations. The rented surface area should be fully occupied. The walls of the stand should be 2.5 m high, no higher and no lower. Transparent construction profiles on corners are an exception to this, but between the profiles, the walls should not be higher than 2.5 m. If there is a 1 metre gap between your stand wall and your neighbour’s wall, you can build a higher structure or advertising billboard, provided it does not bother the neighbouring stand. In the event that you wish to build a higher wall, you must get approval from REVA (freddy@reva.be) as well as from your nearest neighbours. The walls should cover the whole area shared with the neighbouring stands and the walls of the hall. 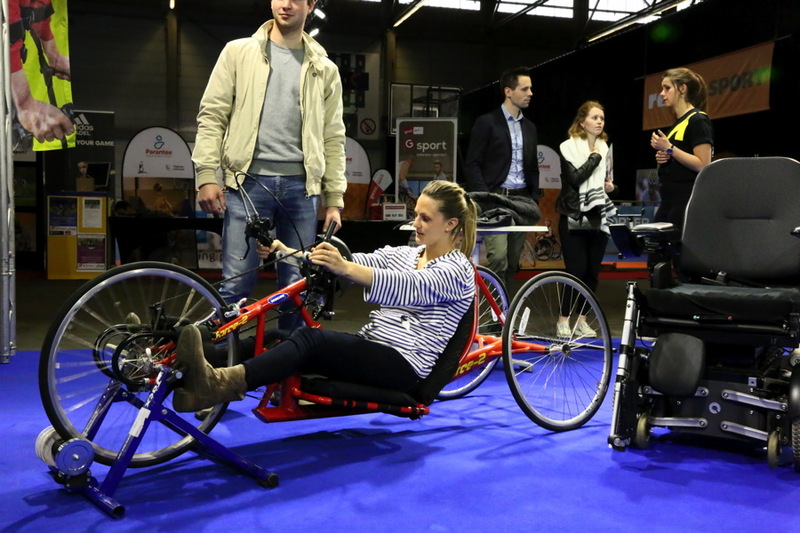 If the construction of the stand does not comply with these conditions, the organisers of REVA reserve the right to build a standard construction module at the participant’s expense. Participants are asked to verify the measurements of the stand before starting to set it up. The organisers of REVA cannot be held responsible for slight differences between the measurements indicated and the actual measurements of the stands. Exhibitors who wish to rent a stand together must inform the secretary of this. They must register individually as exhibitors and will be charged separately. An exhibitor can only be mentioned separately on the exhibition website and at the exhibition, and receive promotional material, if the co-exhibitor pays the administrative fee. Subletting or disposing of a stand, fully or partially, in any manner whatsoever, even free of charge, is explicitly prohibited. Heavy vehicles are not allowed within the exhibition hall. No entry control is provided during the construction period. The exhibitor himself should provide security for his material during the construction. A security service is provided at night. Furniture and lighting equipment rented from Easyfairs will be delivered and installed on the stand on 24 April 2019 at the latest. In order to guarantee free access, it is forbidden to leave material in the halls during the construction period. During the exhibition, no empty packing material shall, under any circumstances whatsoever, be stored within the stand. It shall be compulsorily removed by the exhibitors. It is absolutely forbidden to damage the floor, the walls, carpets and stands by using nails, pins, staples, stickers, tape, paint, felt tip pens etc. If damage is found, compensation will be claimed from the exhibitors. Installation of the wiring may only be carried out by specialists appointed by Easyfairs. A water supply cannot be provided to all stands. Each stand must be illuminated. If this is not the case, the organisers are entitled to make the necessary changes at the exhibitor’s expense. Publicity signs should not extend beyond the edges of the boundary walls. Higher advertising panels may be placed in the middle of the stand as long as they do not bother the other exhibitors. If an exhibitor wishes to deviate from this rule (especially for hanging signs), they should request permission in advance from the organisers (freddy@reva.be). The request should include all the relevant data: measurements, appearance, proposed location of fixture etc. Easyfairs is in charge of the final cleaning of the hall and corridors for the opening of the exhibition. Exhibitors are therefore requested to ensure that all corridors are entirely cleared by 8 p.m. on Wednesday, 24 April 2019. If you will be working with subcontractors, you need to return the completed ‘Liability Waiver’ form to us. You will find this form in the exhibitors’ file (part 9). For security reasons, a speed limit of 5 km/h is applicable to all vehicles (bicycles, wheelchairs, scooters, etc.) in the corridors of the exhibition in order to avoid accidents or startling deaf, hearing impaired, blind or visually impaired visitors. Exhibitors are legally bound to have the electricity on their stands installed by Easyfairs, in compliance with the terms and conditions stipulated in the participants’ guide. Any electrical installation which does not comply with the ‘General Rules for Electrical Installations’ will be disconnected. All installations will be subjected to an inspection. A charge will be made for any repairs to rented electrical installations. Exhibitors shall request the correct electrical capacity, taking into account any appliances that are not immediately visible (such as refrigerators, coffee machines etc.). Participants are responsible for their stands, for the exhibited products, and for any damage caused to the building or the materials belonging to Easyfairs. Exhibitors are legally bound to subscribe to the compulsory ‘nail to nail’ insurance concluded by Easyfairs. Neither Easyfairs nor REVA will act as co-insurers. Exhibitors are legally bound to subscribe to the compulsory liability insurance concluded by Easyfairs. Exhibitors are legally bound to subscribe to compulsory industrial injury insurance for their staff. The exhibition’s organisers are exempt from any liability, as specified in article 1382 and subsequent articles of the Civil Code. The participants relinquish any claims against Easyfairs, the organisers of REVA, other participants or visitors to the building for damages of any nature whatsoever, including fire, theft due to partial or total power failure, interruption of the heating or any loss and/or reduction in the value of their property or the property of third parties, to products or exhibition materials in the building. The participants guarantee, in their own interest, to appoint a competent authorised representative for their stand during the exhibition’s opening hours. The stand can only be manned by the exhibitors and their staff, or members and volunteers in the case of non-profit organisations. to engage in any kind of noisy activity, or any other type of activity that might disturb nearby stands, in order to attract customers and make publicity. Any exhibitors who want to organise an activity to attract the public to their stand should obtain prior authorisation from the organisers, in order to avoid causing possible nuisance to other exhibitors. Do not forget to pay any music copyright fees (SABAM). to put any publicity in the car park unless prior approval has been obtained from the organisers. The sale of drinks and food is prohibited. 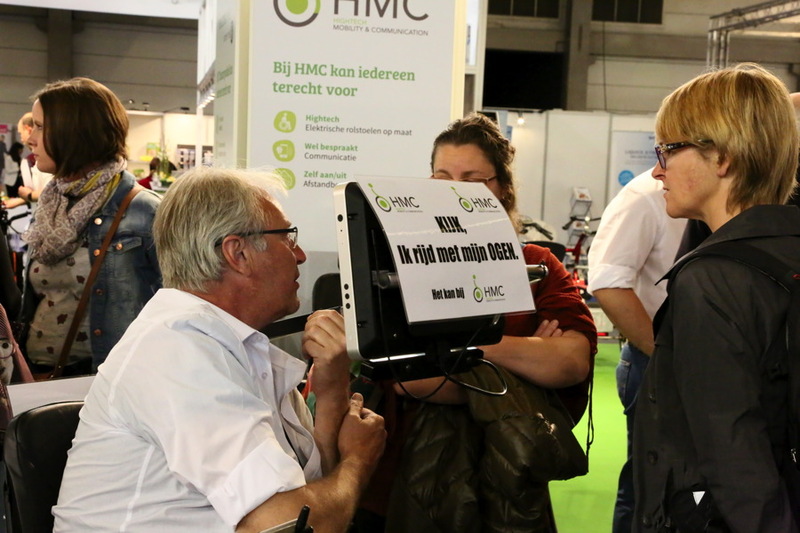 Exhibitors may, albeit to a limited extent, sell products valued at maximum € 100 to visitors at their stands. Prices should be clearly indicated, inclusive of VAT, to avoid problems with the VAT inspectors. During the opening hours of the exhibition and the construction and breaking up period, exhibitors are personally liable for the security of their material. Outside the hours mentioned above, the exhibitor cannot keep staff on the premises for the purposes of security. If an exhibitor has a grievance against other exhibitors or third parties, they should introduce a claim for damages against them; they cannot, under any circumstances, hold the organisers liable. Electrical appliances, tools and electrical wiring should be installed according to the usual legal provisions. In the event that inflammable material is used, the participant should take out appropriate insurance. Explosives are prohibited. PVC or inflammable material may not be used for the roofs of the stands. A certificate verifying that the roofing is fireproof should be made available to Easyfairs. Exhibitors should clear the stands completely by Sunday 28 April 2019 at 18.00. Exceptions to this rule should be discussed with Easyfairs and will be subject to complementary costs for security and storage. Participants may not remove exhibited products before the exhibition is closed. During the breaking up period the organiser cannot be held responsible for any damage or the disappearance of decorating materials or products. All packing material or other waste should be removed from the stand. In the event that exhibitors leave any items behind in the halls after the end of the clearing up period, they will be removed at the expense of the owner. They may be recovered after reimbursement of the expenses incurred. Any items that are not removed within 60 days of the closure of the exhibition will become the property of the organisers. In the event that the exhibition cannot take place, for economic or political reasons or due to force majeure, all registrations will be irrevocably cancelled. The remaining available funds will be distributed among the exhibitors, after reimbursement of the costs, in proportion to the amounts paid by each exhibitor, without there being any question of an explicit agreement of any kind or for any reason against the organisers of REVA. All participants are subject to the provisions of the ‘Rules’ and the ‘General Rules’ of Easyfairs. The organiser of REVA reserves the right to make irrevocable decisions in any matters not covered by the present terms and conditions. In the event of a dispute, the courts in Brussels shall have sole jurisdiction.